Stop your search, you are done looking for a guitarist! 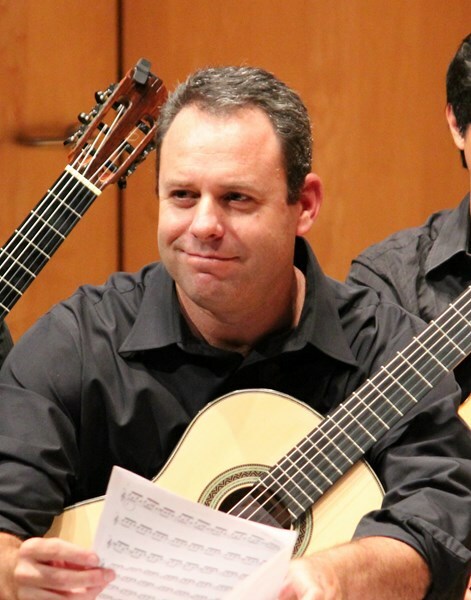 David Adele is a seasoned veteran of the classical guitar and has been performing professionally for over 30 years. Mr. Adele is a published composer, recording artist with multiple CDs/three film credits, and has achieving the Best of 2013-18, Rapid Responder, Loyalty and Rising Star awards by GigMasters. David will provide the ideal musical setting for your next event. Please take a moment and read some of the many reviews from very pleased clients. The overwhelming consistent theme you will notice is an extremely high level of professionalism matched with exceptional talent and an extensively broad playlist. Mr. Adele uses professional musical gear so that no matter how small or big your event is, you will have first rate sound quality. 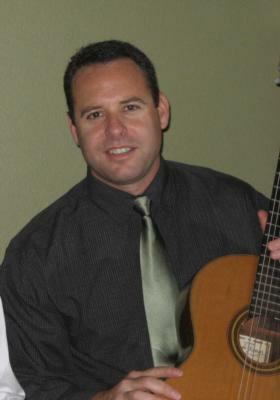 David holds a Bachelor's and Master's degree in Music with an emphasis on classical guitar performance and has been playing the guitar for over 30 years. He has performed for mayors and senators, on numerous concert series, throughout North America, and even internationally. David's experience and professionalism will put your mind at ease about hiring a musician for your special day. His entrancing and ambient music will be talked about long after your party is over. He has played hundreds of wedding ceremonies, corporate events, holiday parties, private parties, restaurants, and even personal intimate dinners for two. Mr. Adele's music, solo instrumental classical guitar, specializes in many styles and moods ranging from traditional Spanish, Latin, Contemporary, Light Jazz, Classical, Ragtime, Celtic, Rock, Pop, and even Original music. His musical set up works perfect for a group as small as one person or and many as 1000 people. David's rates are very reasonable and you will be extremely glad you hired him! A true class act. Our ceremony was made that more special with the beautiful music David played. Everyone and I mean everyone at the ceremony had something wonderful to say about both David as a person as well as a musician. Again, music was loved by everyone. Thank you again David about making our day so very special!! We had a terrific experience working with David Adele prior to our wedding and his performance the day of was even greater. He is a true artist and his music added a magical feel to our wedding. Multiple guests attest to how his music moved them through the event. Prior to the wedding he accommodated changes, his response was immediate, and he arranged 2 songs for us, one of them being our first dance which he played for us on the dance floor as we danced, a truly magical experience. I would highly recommend David Adele and I plan on using him again in the future as it was an honor working with him. I'd give him 10 stars if I could. We had David create three custom arrangements for our ceremony, which were beautiful beyond our dreams. The first time I heard one of them, my fiance (now husband) found me in the living room sitting my computer sobbing because the song was so beautiful. I ended up walking down the aisle to that one. Our reception didn't have dancing (venue restriction). So, the entertainment was heavily dependent on David and he was AMAZING. The classical and Spanish pieces "wowed" people without overwhelming or pulling focus from it being our day. People also got a kick out of hearing Stairway to Heaven on a classical guitar. David is the best by far! Wow! We are so happy we chose David to perform at our wedding! He is a true professional from first contact to the big day and even followed-up with pictures the day after. Our guests absolutely raved about how talented he is and how his music helped create an amazing ambiance. David took the time to learn and new song for my bride to walk down the isle and it was executed perfectly. I would highly recommend using David's services to enhance any event you have no matter what size. Mahalo Nui Loa (Thank you very much) David! I am a wedding an event planner in San Diego and David played at my husbands Law School graduation party. He was always very prompt to respond to emails and calls during planning to make sure everything was going to run smoothly. Despite driving from Orange County and dealing with the San Diego fires that were making travel difficult he still showed up on time and was ready to go. The music was AWESOME and a cool mix of all of our favorite songs and genres. I will be referring him in the future to my clients. On top of everything he is just a really nice guy! Thank you David! Everyone loved you and our guests were blown away by your talent! David was amazing to work with! He had music samples readily available... however, I must say that his music was even better LIVE than on his demos! He is extremely personable and always got back to me very promptly. He provided classical guitar music for my daughter's wedding ceremony as well as pre-wedding and cocktail hour. Many of our guests shared with me how much they enjoyed his music. He was very professional and I would recommend him HIGHLY!!! 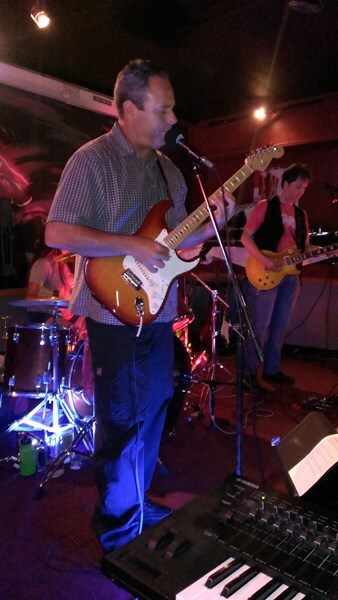 If you are looking for a guitarist for an event, David Adele is your man! David Adele drove to San Diego to play for my daughters wedding. He was awesome. He composed a version of "Somewhere Over The Rainbow" at the bride and grooms request. It was beautiful. All of the guests commented on how talented David was. I would highly recommend David to play at any event. Thank you David for making the wedding magical. Long before we got engaged, my now-wife had a special song in mind for when she walked down the aisle (the Theme from Jurassic Park - a beautiful piece of music and one that has special meaning for us). We hoped to have it performed live by a guitarist. David was delighted for the challenge and when I presented him with the sheet music, he was happy to learn it. He even made a recording of himself playing it so we could hear how it would sound. His communication was excellent from start to finish. On the day of the event, he performed beautifully. He's a true professional and artist, as well as a kind, generous guy. To Alex and Kristin, It was my absolute pleasure to play for you both on your most special day. Your venue was perfect and your beautiful vows that you wrote to each other was even more perfect. I wish you both the happiest lifetime together surrounded by great friends and family. (However, I think you already have all of that!) All my best, David Adele. David played at my wedding ceremony and cocktail hour 4 months ago and was absolutely incredible. He was professional and prompt right from the beginning. Fast responses, and he did an amazing job customizing our ceremony song for us. All of our guests told us how beautiful the music was, and David even sent us pictures he had captured of the wedding ceremony before/after. My two regrets was that I didn't get to shake his hand and thank him in person at the wedding, and that I reviewed him so late! If I can sum him up in a few words it would be talented, professional, kind, and respectful. I would highly recommend David Adele for any event. Thank you David! Jessie, Thank you so much for the great review. Your wedding was beautiful at the Sand And Surf Hotel. Weddings are always a bit hectic, and unfortunately, yours is not the first time I've played a wedding and did not meet the bride or groom. It was my pleasure playing for you and I hope our paths cross again someday! All my best, David Adele. Please note David Adele - Classical Guitarist will also travel to Santa Ana, Villa Park, Irvine, Tustin, Anaheim, Atwood, Placentia, Garden Grove, Yorba Linda, Aliso Vajeo, East Irvine, Fullerton, Silverado, Brea, Fountain Valley, Lake Forest, Costa Mesa, Corona, Midway City, Newport Beach, Stanton, Westminster, Buena Park, Huntington Beach, La Habra, Chino Hills, Corona Del Mar, Laguna Hills, Balboa Island, Balboa.